Looking to get a better sound plus some more HP out of your Grand Cherokee WK2? Look no further then Borla's S-Type Cat-Back Exhaust. This exhaust features straight-through and multi-core technology to increase horsepower while giving you a sound that will have people giving you a second look as you drive by. 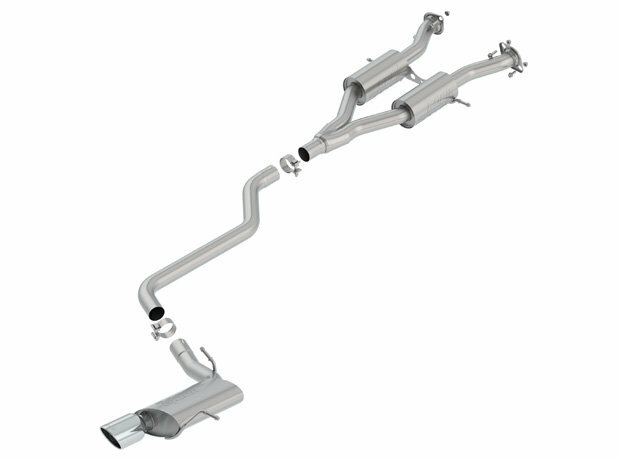 Benefits: Smooth mandrel bent stainless steel allows for smooth exhaust flow producing more horsepower & torque for your Grand Cherokee WK2. Better airflow also means better MPG's. 4" Tip Size: Rolled angled cut exhaust tips giving you an aggressive look to finish off your new exhaust kit. Installation: You will not need to make any modifications to your Jeep to install this cat-back exhaust.